This photo essay presents an historical sampling of oil and gas drilling and development under the leadership of Jim Pryor, Black Star 231's President and Chief Executive Officer. Pryor's first major drilling activities were in Leavenworth County, Kansas, and later in Johnson County, Kansas. 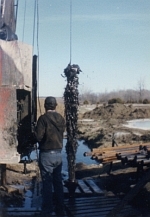 These were followed by a deep well in Oklahoma, then more drilling in Kansas, as well as Nebraska. During this period, Pryor established himself as one of the premier operators in Kansas. The Donley lease in Anderson County, Kansas was often cited in industry publications as a model of secondary recovery engineering. 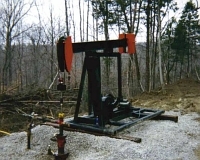 Expertise developed in Kansas, Nebraska and Oklahoma was carried to Tennessee which, along with additional techniques and methodologies engineered for the region, resulted in major finds that energized the oil industry in that state. 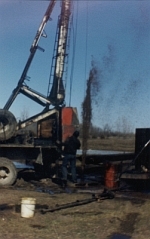 Leavenworth County yielded several prolific oil and gas wells. 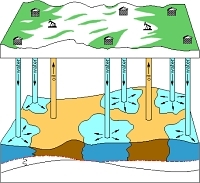 These wells were drilled with mud-rotary rigs. Wells were 1,500' to 1,600' deep and generally completed in the McClouth sandstone (Pennsylvanian). The Donley lease in Anderson County became one of the most productive leases in Eastern Kansas. The wells produced from the Squirrel sandstone (Pennsyslvanian). 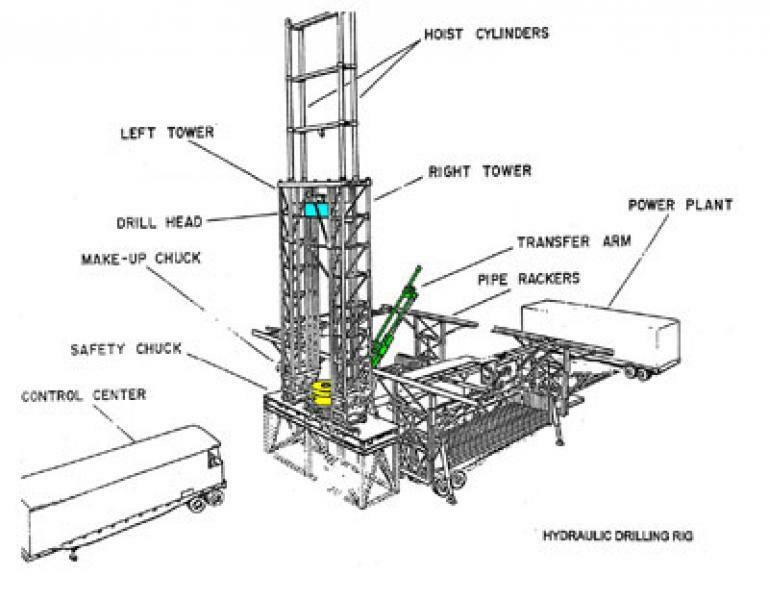 A highly successful secondary and tertiary recovery project was designed and implemented by Pryor, and was recognized by the Petroleum Technology Transfer Council. 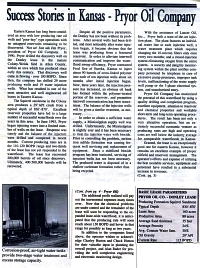 It was spotlighted in this 1997 PTTC newsletter. Pryor drilled and completed 57 successful oil and injection wells on the Donley lease. Charles Hutton, Sr. was the exclusive drilling contractor for Pryor Oil Co., Inc. for several years. His son, Charles Hutton, Jr., was Pryor Oil's production superintendent. 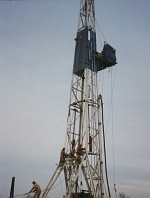 Raising the drill rig in Nebraska. 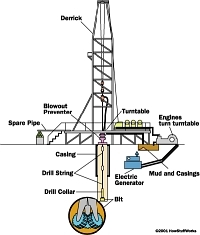 Drilling the Martin lease in Nebraska. Under the direction of Jim Pryor, the Murphy #1 in Coal County, Oklahoma was completed in record time. It was drilled to 8,000' with hole deviation never exceeding 2º. 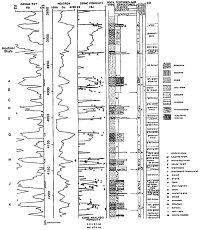 Other operators generally took two months or more to drill such wells, with deviations commonly exceeding 7º. 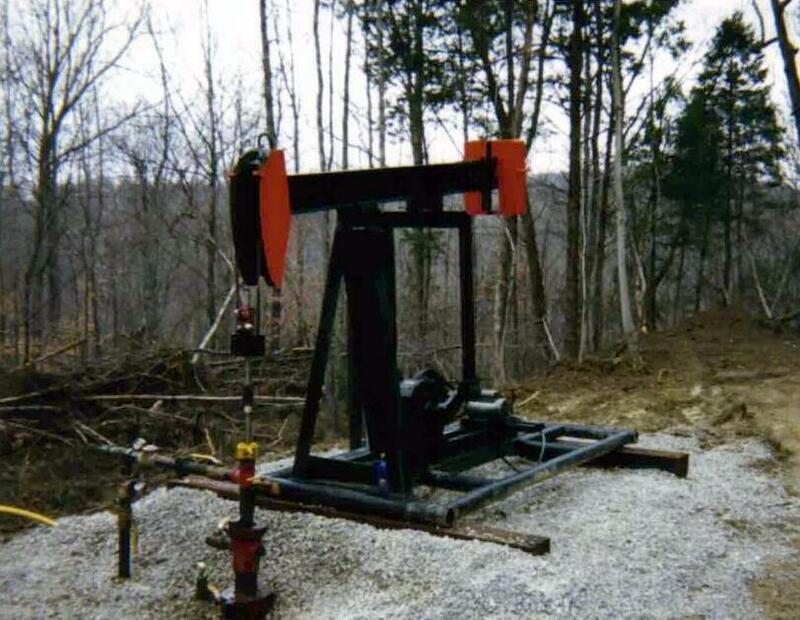 Pryor drilled and completed numerous prolific oil and gas wells in Eastern Tennessee. 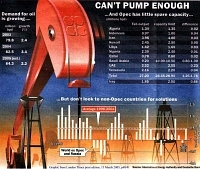 The company was successful at finding oil that others overlooked. 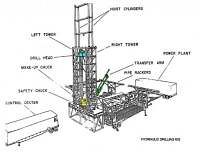 Pryor's drilling and completion methods produced more oil than had previously been accomplished in the area by other operators. Endicott #1 comes in flowing 92 B.O.P.D.